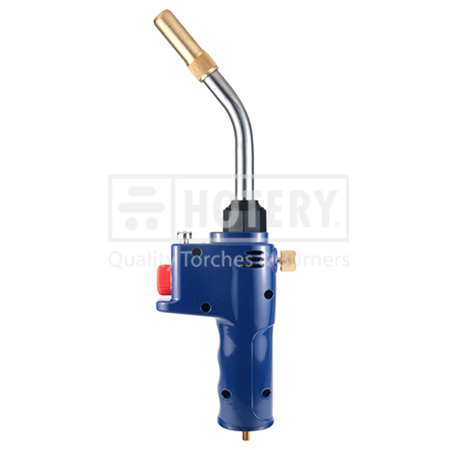 We are reputed Taiwan Trigger Torch manufacturer, supplier, exporter and factory. We offer our customers a comprehensive range of products that match the strict quality requirements of International market which has earned our company the distinct reputation of being a quality oriented Taiwan Exporter. We are recognized as one of the leading traders in this sector due to our capability to supply impeccable products to our customers. We laid our foot years back & ever since we are striving to deliver in our products innovation, competitive pricing & quality driven customer satisfaction. 1. Ignition button lock for continuous use. 2. Piezo igniter for instant flame. 6. Up to 1300℃ high temperature / flame type: cyclone flame. 7. Stainless burner tube and brass burner tip for strength.